Well, not the real Sargon of Akkad, one of the great founders of Assyrian civilisation in ancient Mesopotamia, obviously. He’s been dead for about 3,000 years. No, this Sargon of Akkad is a British vlogger from Swindon, real name Carl Benjamin, who was a major figure in the internet sceptics’ movement. Unfortunately, he moved from simply vlogging on subjects like atheism and scepticism, to becoming a mouthpiece for all manner of extreme right-wing views. I have a feeling he’s one of those people, who consider themselves politically moderate, while pushing all manner of racist, misogynist and generally politically extremely illiberal bilge. I think he’s turned up recently to at least one Alt Right or manospherian conferences. In this very short little video, Kevin Logan calls him out for his defence of some truly astonishingly horrific comments by another right-wing blogger, Mouthy Buddha. Mouthy Buddha claimed that Hitler was very lenient with the Jews in the Holocaust, and ‘was a decent man’. And, oh yes, that the Jews got what they wanted after the war – a Jewish homeland – because of the Shoah. Sargon goes on to say that Mouthy Buddha ‘did nothing wrong’ and that he was ‘steel-manning’ the argument for the Holocaust. Ominously, he goes on to say that he intends to do a series on ‘the Jewish question’. Logan has responded by intercutting Sargon’s comments with footage from Mouthy Buddha himself, and a film clip of a bloke on a train saying exactly what these views about the Holocaust are: ‘Bullsh*t’. Sorry for the language, peeps, but I think that the obscenity is entirely justified in the context of rebutting an obscene view. And the attitude that Hitler was somehow humane in his maltreatment of the Jews is far more obscene than any foul language or profanity. The ‘steel-manning’ Sargon refers to is supposedly a rhetorical device in which one tries to undermine one’s opponent’s argument by putting in even stronger terms, as opposed to ‘straw-manning’, which is deliberately misstating it in far weaker terms. I hadn’t heard of ‘steel-manning’ before, and I don’t think many other people have either. One of the commenters on Logan’s video on YouTube states that it was thunk up by an internet group, and isn’t recognised by professional philosophers and scholars of logic and rhetoric. There was nothing humane or restrained about the Nazis’ brutalisation of the Jews. Nothing at all. And the evidence for their extreme cruelty is so widespread and well-known that it isn’t necessary to provide any sources for it. All you have to do is go and look at any of the books on the Third Reich or the Holocaust by a mainstream publisher to see for yourself how horrific the Holocaust was. As for the ‘Jews’ getting what they wanted from the Holocaust in the foundation of Israel as an independent state three years after Nazi Germany’s defeat, in 1948, it’s true that some Zionist groups and organisations were certainly more than happy to collaborate with the Nazis in the hope of creating further Jewish emigration to Palestine, such as during the brief Ha’avara agreement and the Sterngang. That’s established historical fact. It’s acknowledge by Zionist historians, like David Cesarani. It is only apparently denied by some Zionist groups, who attempt to defend themselves from the charge of collaboration by smearing those, who raise the issue of ‘anti-Semites’. However, the Zionists were only one section of the Jewish community. The vast majority of Jews wanted to remain in the countries of their birth, as fellow citizens with the same rights and privileges as their gentile fellow countrymen. And they fought hard and bitterly against the Nazis and the other Fascist, anti-Semitic regimes. Those Zionists, who collaborated with the Nazis are entirely unrepresentative of the Jewish people as a whole. This has been pointed out again and again by anti-Zionists, including self-respecting Jewish scholars and activists like Tony Greenstein. But Israel as a settler colony for European Jews was founded before the Holocaust, after Britain obtained control of Palestine during the period of the Mandate granted by the League of Nations. The followed the Balfour Declaration, in which the British Foreign Minister, Arthur Balfour, pledged that the British Empire would support a Jewish state in the area. So Mouthy Buddha’s very, very wrong there. Norman Finkelstein and other anti-Zionist writers have pointed out how the Holocaust has been exploited by Israel and its supporters to garner international support, and that, quite understandably, Jewish emigration to Palestine did increase after the War. But reputable historians have also pointed out that during the War comparatively few Jews went to Palestine. The majority fled elsewhere, particularly to America. As for writing blog posts about ‘the Jewish Question’, there is no question at all about the Holocaust. I’ve already blogged about how an American judge in California officially ruled that the evidence for the Holocaust was so plentiful that it could not reasonably be doubted. The same should go for the brutality of the Nazis and their collaborators, who instituted and conducted it. It is, however, entirely fair and reasonable to discuss the historical complicity of various Zionist groups and individual Zionists, who hoped to exploit Nazi and anti-Semitic persecution generally to support their political goals of an independent Jewish homeland in Palestine, but this is very different from claiming that the Jews as a whole were somehow complicit in their own persecution. And it is this latter claim Mouthy Buddha has apparently made here, and it can rightly be attacked as anti-Semitic. I am absolutely astonished that anyone outside of the various Nazi groups and their own twisted, ahistorical worldview, could ever make those comments, and if they were intended as a rhetorical tactic, it was certainly a poor one. Not least because of the way such comments and will be used by the extreme Right to encourage support. But that’s if Mouthy Buddha’s remarks were simply a piece of ill-judged rhetoric as Sargon says. But from the looks of it, it doesn’t seem that it was. Either way, Sargon is wrong about Mouthy Buddha having done nothing wrong. His comments were abhorrent and dangerous, and he should never have made them. The Alt Right have risen to prominence through their use of the internet. They and their vile views should be attacked and refuted at every turn, not given more ammunition to assault democracy and decency. This video from RT over here in Blighty discusses the controversy surrounding the plans to commemorate the centenary of the Balfour Declaration. This was the pledge by the British foreign minister, Arthur Balfour, that the British would support the creation of a Jewish homeland in Palestine. There have been protests and demonstrations by Palestinians in London, who argue that the Declaration should not be celebrated. Instead, the centenary should be used to apologise for the historic crimes and injustice meted out to the Palestinian people. Eisa Ali, one of the presenters of this piece, then discusses how the Palestinian Mission here commissioned a series of posters to show the oppression and ethnic cleansing suffered by the Palestinians under what critics, like the Palestinian ambassador Manuel Hassassian, have rightly described as an apartheid regime. These show a series of ‘before’ and ‘after’ images. One is of a thriving Arab town, full of homes and with its mosque, as it was before the Israeli occupation. After the creation of Israel, it becomes ruins, containing nothing but rubble, although the mosque still stands. These posters were banned by Transport For London, which didn’t want to put them up. However, some individual black cabs are showing them. The Palestinian ambassador states that he believes that there was pressure on TFL from two sides, including the government, not to show these posters. He states that to add insult to injury, Theresa May has also invited Benjamin Netanyahu over for a meeting. Looking at Mr. Hassassian’s name, it seems to me that he might be a Christian, or of Christian descent. It should be remembered that 25 per cent of Palestinians were Christian before the establishment of the state of Israel. That proportion has gone down to one per cent. The American religious right has claimed that this is due to Muslim intolerance. That’s certainly there, as Christians have been victimised by Muslim Palestinians as suspected collaborators. But it’s also because they’ve also been subject to massacre and expulsion as Arabs, just like their Muslim friends, relatives and neighbours. As for Jewish Palestinians, they were tolerated only because their labour was needed. The leaders had inherited all the racist assumptions about Arab inferiority of the European countries they came from, and they believed that the Mizrahim, Jewish Arabs, like Arabs generally, were culturally if not racially inferior. In the 1960s tens of thousands of Jewish Palestinians were officially expelled from Israel, because they were held to be Arabs, not Jews, on the grounds of their cultural assimilation. I mention the decline of the Christian Palestinian population simply to put the matter straight, not to stir up any more Christian anti-Semitism, which I absolutely condemn. I just want to make the point that Christians in America are being deliberately given a very distorted view of events in order to bolster western colonialist attitudes towards the Palestinians as a whole, and generate Islamophobia against the Muslim population, in order to manufacture support for what is a White, imperialist settler state. Theresa May has also said in the Commons that the Balfour declaration should be celebrated. This doesn’t come from any racism towards Judaism or the Jewish people. This country has benefited immensely from the contribution of its Jewish people in just about all areas of life, culture and endeavour. It simply comes from the fact that Palestine was not ours to give. Its indigenous people had been there for millennia, even if Arabs were relative newcomers, having conquered the region in the 7th century AD. Palestine contained not only Muslims, but also Arabs and Jews, as well as the Samaritans, who are mentioned in the Bible, and who are gaining in numbers. The result of the Balfour Declaration was their massacre and expulsion from their historic lands. Those that remain are forced into what have been described, with more than a little justification, as ghettoes, and are subject to a form of apartheid. This has all been described by many highly courageous Jewish and Israeli journalists, writers, and activists, as well as by the Palestinians themselves and others. It has also resulted in immense harm to the wider Jewish people. At the time of the Declaration, the majority of Britain’s Jewish community, including its leading families, who had been here since the 17th century, were resolutely against it. They wanted to be accepted as fellow Brits, and were afraid that the passage of the Declaration would mean that they would be suspected of dual loyalty. The businessman and presenter of the British version of The Apprentice, Sir Alan Sugar, said in one programme that he had been a member of the Jewish version of the Boy’s Brigade. He didn’t mention it, but the lads enrolled swore an oath ‘to be a good Englishman and a good Jew’. You can also see the pride in British citizenship in paintings such as David Blomberg’s modernist depiction of the interior of a Jewish bath house, which is painted in the red, white and blue of the Union flag. Similar views were held by the Jewish communities elsewhere across Europe and the world, in Germany, where there was originally much less anti-Semitism than Britain, and Poland. But the Declaration has contributed to anti-Semitism through the fear that Jews, or an influential portion of them, have more loyalty to Israel beyond that of the other nations in which they live. And Zionist groups have at time collaborated with the real anti-Semites, in the hope that rising persecution of Diaspora Jews will result in more of them emigrating to Israel. Tony Greenstein and others have shown on their blogs and writings, over and over again, using and reproducing contemporary documents, that this was the case. But simply repeating this historical fact will get you smeared as an anti-Semite. This should not be to condemn Israelis. Professor Ilan Pappe, an Israeli historian, now at Exeter University, who was driven from his homeland because of his courageous defence of the truth against official lies and persecution, has defended his former compatriots as decent people. In one interview he described how he opened his house up, every Thursday night, to anyone, who wanted to visit him to hear his side of the story. He shortly found that his front room was full of people wanting to hear what he had to say, and find out for themselves whether he was the terrible anti-Semite the officials claimed. It should be to condemn the actions of successive Israeli governments, in constructing a racist, genocidal state. And the actions of Britain itself, and our officials and politicians, for their part in the massacre and dispossession of an entire people. Theresa May told us that Britain will celebrate the centenary of the Balfour Declaration this summer with “pride”. This was predictable. A British prime minister who would fawn to the head-chopping Arab autocrats of the Gulf in the hope of selling them more missiles – and then hold the hand of the insane new anti-Muslim president of the United States – was bound, I suppose, to feel “pride” in the most mendacious, deceitful and hypocritical document in modern British history. The Balfour Declaration’s intrinsic lie – that while Britain supported a Jewish homeland, nothing would be done “which may prejudice the civil and religious rights of existing non-Jewish communities in Palestine” – is matched today by the equally dishonest response of Balfour’s lamentable successor at the Foreign Office. Boris Johnson wrote quite accurately two years ago that the Balfour Declaration was “bizarre”, a “tragicomically incoherent” document, “an exquisite piece of Foreign Office fudgerama”. But in a subsequent visit to Israel, the profit-hunting Mayor of London suddenly discovered that the Balfour Declaration was “a great thing” that “reflected a great tide of history”. No doubt we shall hear more of this same nonsense from Boris Johnson later this year. Cronin’s investigation of Colonial Office files show that the British military lied about the “cleansing” of Haifa, offering no protection to the Arabs, a policy largely followed across Palestine save for the courage of Major Derek Cooper and his soldiers, whose defence of Arab civilians in Jaffa won him the Military Cross (although David Cronin does not mention this). Cooper, whom I got to know when he was caring for wounded Palestinians in Beirut in 1982, never forgave his own government for its dishonesty at the end of the Palestine Mandate. But Britain’s support for Israel hasn’t always been reciprocated. When the PLO opposed the Falkland’s War, they were told very clearly by the British ambassador that it was no concern of theirs. At the same time the Israelis were selling Skyhawk jets to the Argentinians to shoot down our flyboys. From the day that Herbert Samuel, deputy leader of the Liberal Party and former (Jewish) High Commissioner for Palestine, said in the House of Commons in 1930 that Arabs “do migrate easily”, it seems that Britain has faithfully followed Balfour’s policies. More than 750,000 Palestinians were uprooted in their catastrophe, Cronin writes. Generations of dispossessed would grow up in the camps. Today, there are around five million registered Palestinian refugees. Britain was the midwife of that expulsion. And this summer, we shall again be exhorted by Theresa May to remember the Balfour Declaration with “pride”. Baroud puts this agreement in context, as part of a wider movement by the colonial powers to divide up the Middle East and the Arab nations for themselves. This was the geopolitical background to the Picot-Sykes agreement, drawn up a year or so earlier, which settled the boundaries of British and French mandated territories and colonial possessions in the region. Last July, the Palestinian Authority took the step of asking for wider Arab support in suing Britain for the agreement. Baroud states that at the time the Declaration was made, and the Picot-Sykes Agreement signed – the latter in secret – Britain was not in possession of Palestine or the other territories, which were still part of the Ottoman Empire. This was dismantled after the War. Baroud reproaches the British and the West for their hypocrisy in supporting Zionist emigration and colonisation of Palestine. At the same time, Britain also gave a series of spurious promises to the Palestinians, including offering them independence. The Palestinians finally rebelled when it became obvious that the British were helping the Zionists. Nevertheless, the League of Nations mandated the new Arab territories to Britain. The Balfour Declaration prepared the international stage for the full-scale ethnic cleansing of the Palestinians in the decades to come, and that the British continued their support of the Jewish colony after it became Israel, while at the same time also promising some small measure of support to the Arabs. While Balfour cannot be blamed for all the misfortunates that have befallen Palestinians since he communicated his brief, but infamous letter, the notion that his ‘promise’ embodied – that of complete disregard of the aspirations and rights of the Palestinian Arab people – that very letter is handed from one generation of British diplomats to the next, in the same way that Palestinian resistance to colonialism has and continues to spread across generations. I think the Palestinians are right to sue Britain. We clearly had no right whatsoever to grant a territory we did not have to the Zionist Federation in complete disregard to the wishes of its indigenous inhabitants. There are also other aspects to the Balfour Declaration, which are not mentioned in Baroud’s article, but which give a different perspective on domestic Jewish support for the embryonic Zionist state. According to Lobster, many, perhaps the majority, of British Jews did not support its creation. Herbert Samuel, the only Jewish member of the Cabinet, opposed it, as did very many Jews, including many leading members of the British Jewish community. I think that Samuel may have presented the government with a list of 72 leading Jewish families, who were against it. Samuel, along with the majority of European Jews of the time, at least in western Europe, wished to be patriotic members of their European homelands, and to be seen and accepted as such by their gentile compatriots. Samuel was afraid, with considerable justification, that the creation of an independent Jewish state would lead to Jews being suspected of having double loyalties, of not really being ‘British’. It’s easy to see why he feared that. This is, after all, the attitude that has led to Jews being persecuted throughout history, and which has survived in stupid conspiracy theories like the Protocols of the Elders of Zion and similar fantasies of the Nazis and the Alt Right. It also needs to be pointed out that the Palestinian population also included indigenous Jews, who have also been exploited and expelled by Israel. About 60,000 Arab Jews, or Jewish Arabs, were forced out of Israel in the 1960s. The Mizrahim, Arab Jews, who were invited to immigrated to Israel to build up the labour force, were given the poorest housing and jobs, and looked down upon as inferior by the European Zionist colonists. As Counterpunch has also pointed out in previous articles, Israel sees itself as a Western state, and has maltreated its indigenous inhabitants according to the manner other western settler states have brutalised and ethnically cleansed theirs. Balfour’s note states that he wanted the civil and religious rights of the indigenous Palestinians respected, and did not want it to prejudice the rights and the way Jews elsewhere were seen. But this has been what has occurred. And Baroud is absolutely right to say that there can be no real peace without a just settlement of the Palestinians and their right to a homeland of their own. 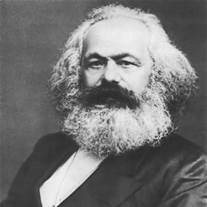 “…Because the state arose from the need to hold class antagonisms in check, but because it arose, at the same time, in the midst of the conflict of these classes, it is, as a rule, the state of the most powerful, economically dominant class, which, through the medium of the state, becomes also the politically dominant class, and thus acquires new means of holding down and exploiting the oppressed class…” The ancient and feudal states were organised for the exploitation of the slaves and serfs; likewise, “the modern representative state is an instrument of wage labour by capital. By way of exception, however, periods occur in which the warring classes balance each other so nearly that the state power as ostensible mediator acquires, for the moment, a certain degree of independence of both…” Such were the absolute monarchies of the seventeenth and eighteenth centuries, the Bonapartism of the First and Second Empires in France, and the Bismarck regime in Germany. (Cited in V.I. Lenin, The State and Revolution, in Lenin: Selected Works (Moscow: Progress Publishers 1968) 270). had asserted that the difference between classes was the result of economic inequalities, that the class which was in power at any epoch not only made laws for the whole of society in order to guarantee its own hold it property but also “directed its habits and created its prejudices,”, that society was constantly changing under the pressure of economic necessities, and that the rising and triumphant bourgeoisie which had dispolaced the feudal nobility would in turn produce a new aristocracy. (Edmund Wilson, To the Finland Station (London: W.H. Allen 1960) 147). Owen Jones in Chavs: The Demonization of the Working Class, in the chapter ‘Class Warriors’ quotes some of the leading Tory politicians, who have made it explicit that they are defending the interests of the upper classes, against the poor and working class. He describes how, despite the rhetoric of class reconciliation and understanding for the marginalised spoken by the Tories when David Cameron was elected leader in 2005, Tory politicians in private will reveal attitudes that are almost completely the opposite. But as soon as they are safely behind closed doors, away from the cameras, the cuddly PR-speak can abruptly disappear. I witnessed the mask slip myself, when in my final year as an undergraduate, an extremely prominent Tory politician from the moderate wing of the party had come to deliver an off-the-record speech to students. So that he could speak candidly, aspiring student journalists were barred from reporting on the speech and we were sworn to anonymity. It soon became clear why. As the logs crackled in the fireplace on a rainy Novemeber evening, the Tory grandee made a stunning confession. Here was an analysis that could have dropped out the pages of Socialist Worker. 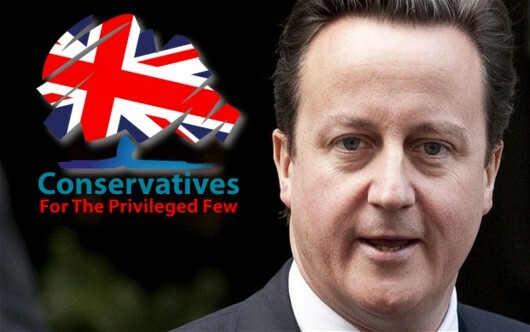 A doyen of the Conservative Party had more or less confessed that it was the political arm of the rich and powerful. It was there to fight the corner of the people at the top. It was waging class war. (pp. 39-40). Jones then goes on to provide a series of quotes from leading Tory politicians from the 19th century onwards to support this. When the 1926 General Strike was broken, the leading Tory Arthur Balfour exulted ‘The General Strike has taught the working class more in four days than years of talking could have done. (All the above quotes are on p. 41). Margaret Thatcher: Regarded the working class as ‘idle, deceitful, inferior and bloody-minded’. Sums up her entire career in government. To understand Thatcherism’s attitude to working-class Britain, it is important to start by looking at Thatcher herself. Some of her warmest admirers have been at pains to portray her-wrongly-as a person of humble origins. 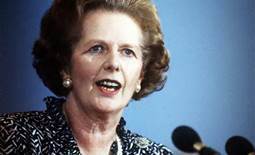 As the staunchly Thatcherite Tory MP David Davis told me: ‘Margaret was always a bit more middle class than she made out.’ It is almost a cliché to describe her as a grocer’s daughter, but it was this that coloured her entire political outlook. Growing up in the Lincolnshire market town of Grantham, her father had instilled in her a deep commitment to what could be called lower-middle-class values: individual self-enrichment and enterprise, and an instinctive hostility to collective action. Her biographer, Hugo Young, noted that she had little if any contact with working-class people, let alone the trade union movement. Her attitudes were undoubtedly cemented when in 1951 she married a wealthy businessman, Denis Thatcher, who believed that trade unions should be banned altogether. She surrounded herself with men from privileged backgrounds. In her first Cabinet, 88 per cent of ministers were former public school students, 71 per cent were company directors and 14 per cent were large landowners. No wonder, then, that one of her Cabinet ministers told a journalist just before the 1979 election: ‘She is still basically a Finchley lady … She regards the working class as idle, deceitful, inferior and bloody-minded’. (46-7). This last quote basically shows that with her contempt for them, it could be argued that many of the working class had a perfect right to celebrate her death, no matter how distasteful it may have been to everyone else. Jones does also quote a number of other Tories today, who deny that the Tory party is determined to keep the poor and working class down. He notes that members of all the political parties feel they are doing something for the national good. Many Marxists have argued that the state does not automatically represent the interests of the ruling class, but can behave semi-independently. You could cite Tony Benn as an example of the latter. A member of the peerage, he resigned his seat in the House of Lords for a career was a brilliant and passionate Labour politician committed to improving the conditions of the working class, women and ethic minorities. Nevertheless, it is clear that the Tories, or at least of significant portion of them, have always regarded themselves as representing the interests of the ruling elite against the poor and working class. David Cameron: Doing his best to demonstrate that under the Tories, the state really is the instrument of class oppression. It is also abundantly confirmed by the composition and policies of the Coalition. Cameron, Osborne, Clegg and IDS are all aristos, and their policies are designed to keep the working class poor and powerless. They should be kicked out at the next election.